Leohold will provide electric expertise. 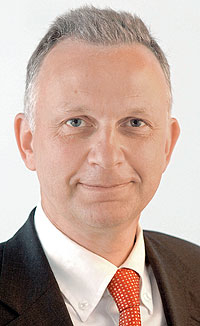 Jürgen Leohold, head of Volkswagen Group research since April 2008, also became chair of the European Council of Automotive Research, effective January 1. EUCAR represents the research interests of European automakers, and is in direct contact with the European Commission and Parliament. A German national, Leohold said he wants to boost the Commissions awareness about electric-powered mobility and second-generation biofuels. Leohold, 54, worked for most of the last 20 years in electrics and electronics research at VW.